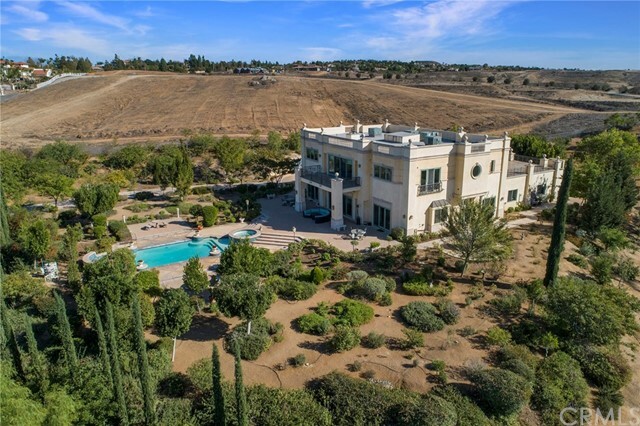 You deserve the best in this stunning, luxurious, private gated Mediterranean Estate located in Prestigious Whitegates/Hawarden Hills. This homes boasts over 6000 sf,5 bedroom , 4 en-suite with walk in closets, plus maids room on over 1.31 acres of lush gardens with a classically designed pool with water features and view. Be prepared to be impressed as you enter this stunning inlaid paver roundabout driveway lined with white roses and splashes of color with “Impressionist” blue hues tile fountain, that add a welcoming touch of elegance.